This feels like an old-fashioned thriller, partly because it’s based on a novel from 1962, and partly because of how it looks and feels. That’s a good thing for me, and I really enjoyed this debut in the director’s chair from Hossein Amini, the writer of Drive. 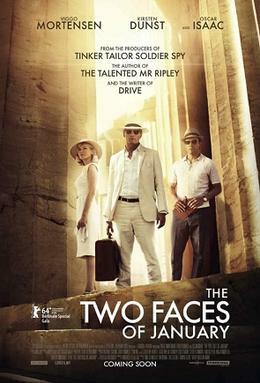 The film is set primarily in Athens, and we are introduced to a wealthy American couple (Viggo Mortensen and Kirsten Dunst), who are on holiday. They come into contact with a fellow American, Rydal (Oscar Isaac), who is currently working as a tour guide in the city, whilst scamming tourists to make some extra cash on the side. After they all go out for dinner, Rydal finds himself intrinsically linked to the couple after an incident occurs.